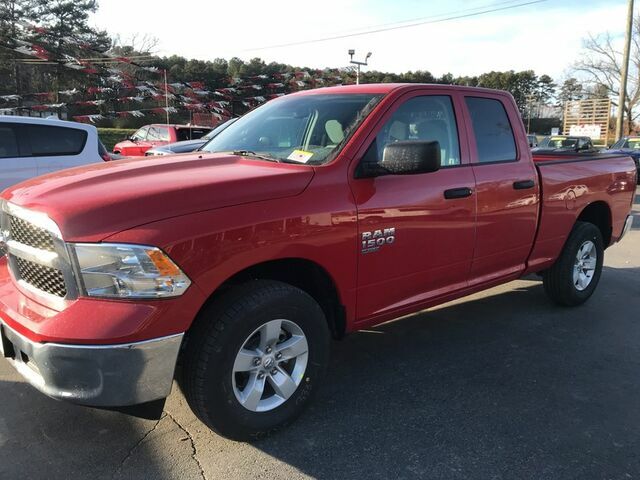 This outstanding example of a 2019 Ram 1500 Classic Tradesman is offered by Cowboy Chrysler Dodge Jeep Ram. Want to brave the road less traveled? You'll have the 4WD capabilities to do it with this vehicle. You can finally stop searching... You've found the one you've been looking for. This is about the time when you're saying it is too good to be true, and let us be the one's to tell you, it is absolutely true. The look is unmistakably Ram, the smooth contours and cutting-edge technology of this Ram 1500 Classic Tradesman will definitely turn heads.